• 7 people like this. Do you like this? 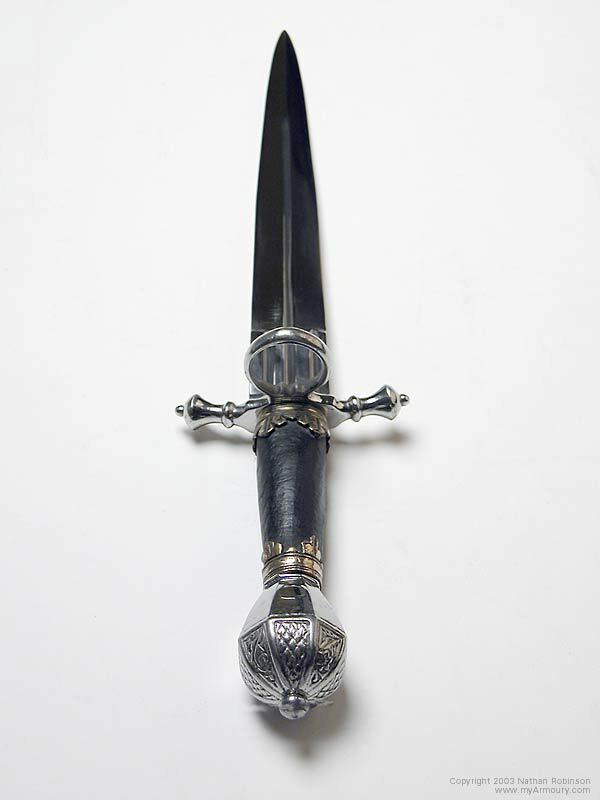 A replica of one of the daggers worn by the body guard of the Elector of Saxony. 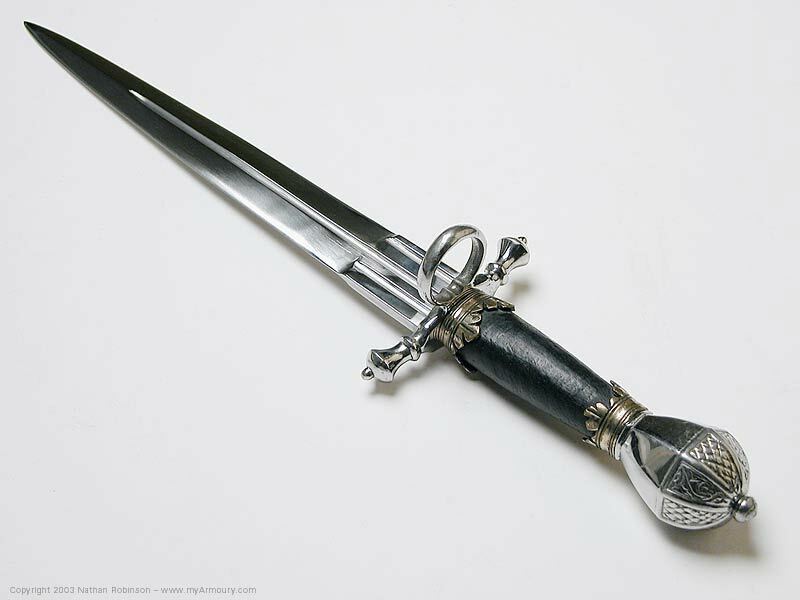 The heavily fullered blade is mounted with a classic ring guard and an engraved pommel. 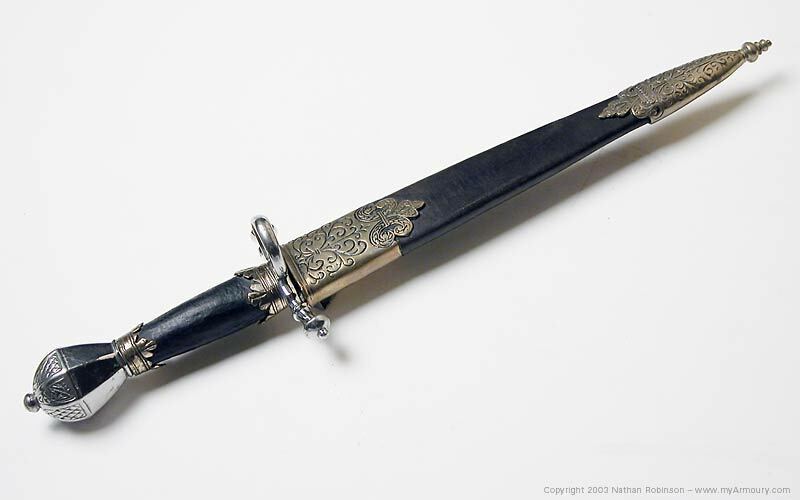 The wooden grip is covered in leather and surrounded by crown shaped collars. 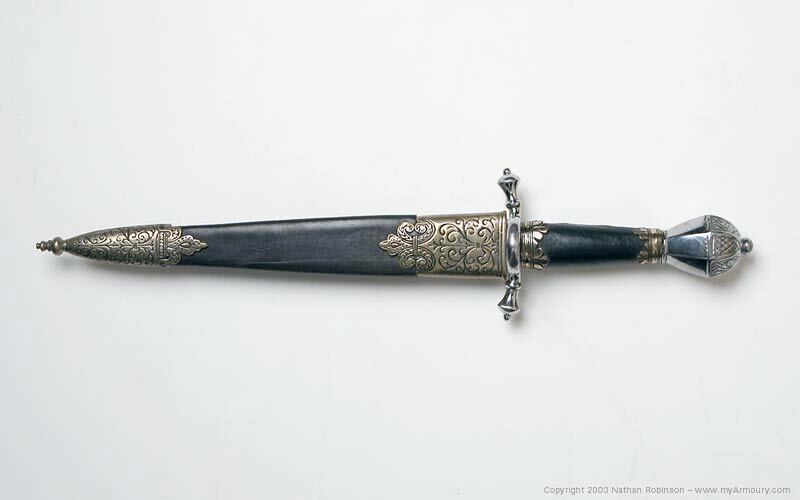 Has a black leather scabbard with decorative fittings. 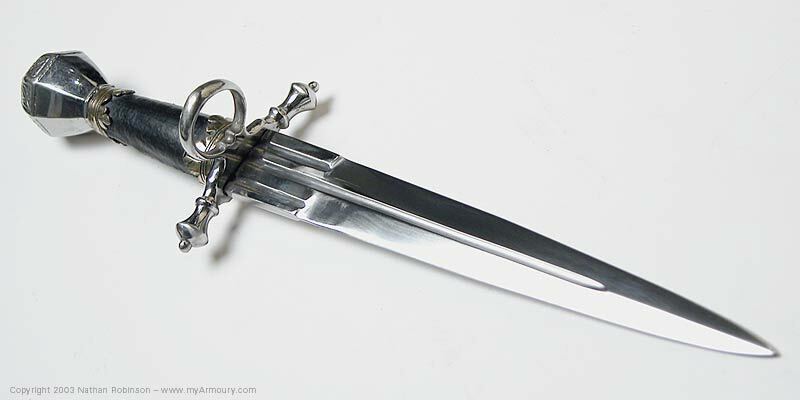 Blade: 9" long; 1.125" wide tapering to .5"